A professional kickboxing tournament in memory of the first President of Chechnya, Akhmad Kadyrov, took place in Chechnya on August 23, Day. Az reported. The tournament was held on 13 bouts of kickboxing, Muay Thai and Classic Boxing. Boxers from 11 countries, including Russia, Romania, Belarus, Holland, Croatia, Estonia, Azerbaijan, Tunisia, Uzbekistan, Georgia, and Suriname attended the championship. Azerbaijani K-1 fighter Zabit Samedov defeated Romanian fighter Catalian Morosanu in the battle for WBC Muay Thai world title. 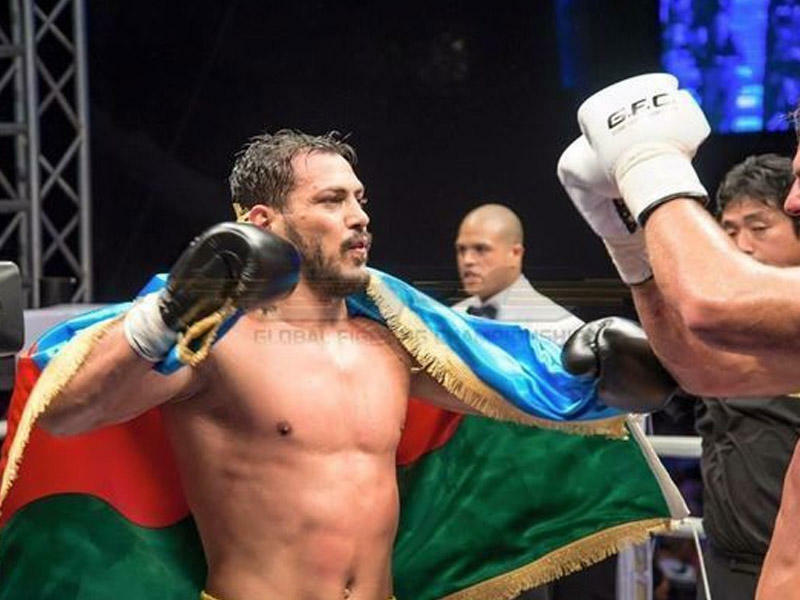 Azerbaijani "Maugli" knocked out the Romanian fighter in the first round. Zabit Samedov was born in Georgia into an Azerbaijani family and moved to Minsk when he was 10 years old. He started practicing martial arts at the age of 9. He was recruited by top martial arts organization K-1 after achieving several titles in various events between 2004 and 2006. He began to fight with consistency by attaining the title of K-1 Fighting Network in Riga in 2006 in Latvia. Kickboxer fought at the K-1 World Grand Prix 2009 in Łódź where he beat, Mindaugas Sakalauskas by unanimous decision and Raul Catinas and Sergei Lascenko to finally make it to the Final 16. He faced Xavier Vigney at the K-1 World Grand Prix 2012 in Tokyo Final 16 on October 14, 2012 and totally outclassed the young American, flooring him three times in the first round to win via TKO. Samedov also competed in the -93 kg/205 lb tournament at Legend 2: Invasion in Moscow, Russia in 2013, taking a unanimous decision over Melvin Manhoef in the semi-finals. He was set to fight Pavel Zhuravlev in the final but was unable to do so due to a cut and was replaced by Agron Preteni. Returning to the ring for the first time in eight months, Samedov scored a 21-second high kick knockout over Stefan Leko on the undercard of the Ruslan Chagaev vs. Fres Oquendo boxing match in Grozny, Russia, in 2014.